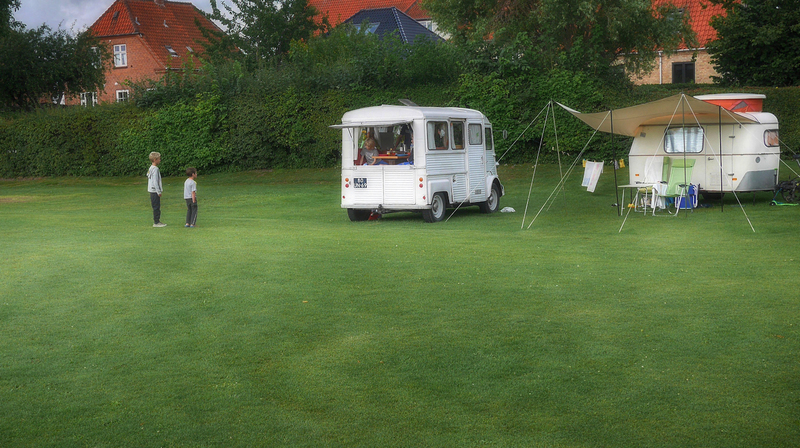 The two boys have started their contact with the boy sitting in the vintage camper car at Hillerød Camping in Denmark. Soon they will all be playing together. Great daily life interaction.